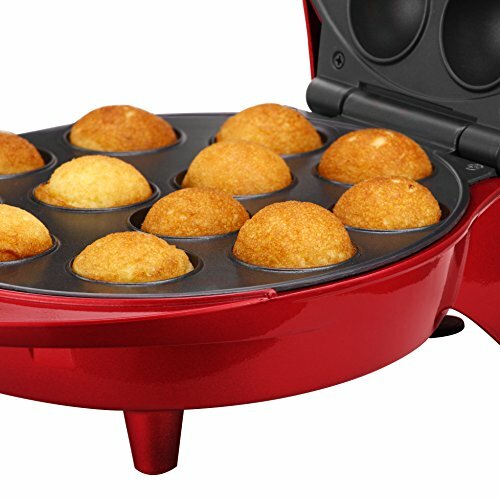 Cake Pops are the new revolution in cake making which allow you to make delicious treats in a matter of minutes as an alternative to cupcakes! 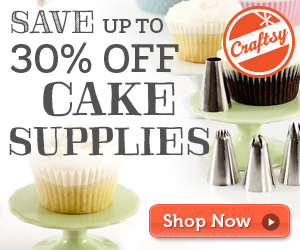 No more long waits for cupcakes to come out of the oven. 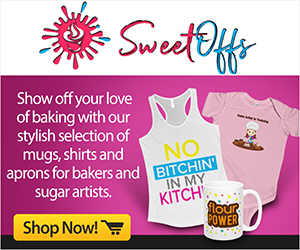 Make stylish new alternatives to the classic cupcake favourites. 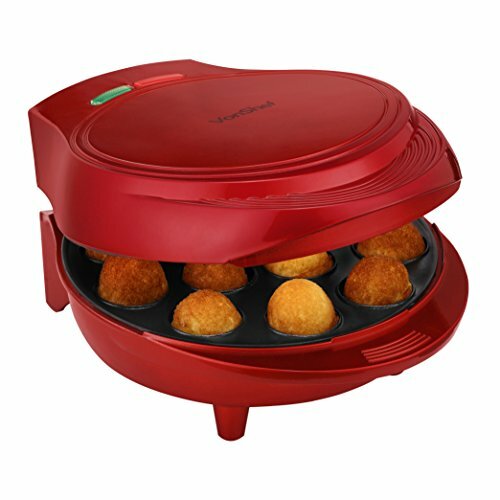 The Cake Pop machine comes with additional extras which will enable you to make a stylish and tasty cake pop right out of the box. 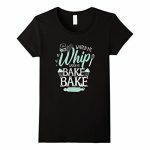 This makes it a fast and easy way to join the cake pop revolution and impress your friends and family! 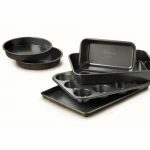 The non-stick plates within the maker allows the mini cakes to pop right out with minimal cleaning required. 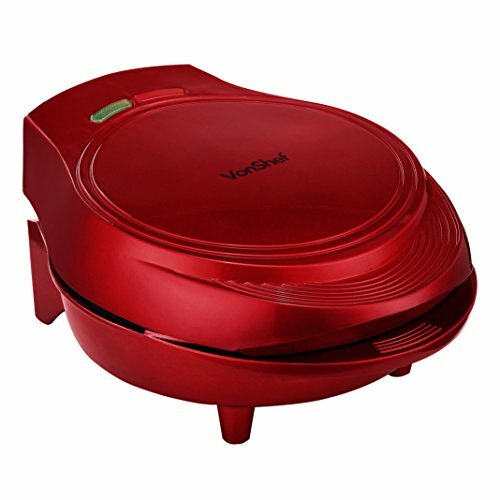 No more complicated home recipes! Just simply make the mix, pop in the maker, then watch as the cakes are made in front of your eyes in a matter of minutes. 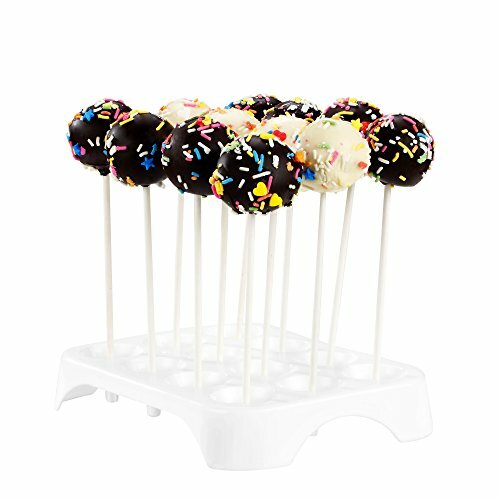 The cake pop kit also includes: 12 Hole Cake Stand and 50 Sticks to give your cake pops that ultimate professional feel. 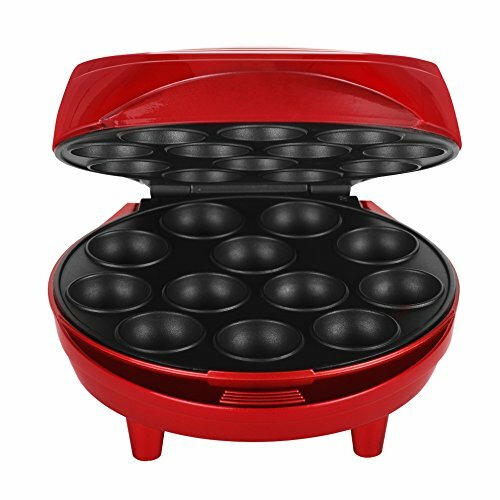 Create personalised and delicious treats in minutes using the VonShef cake pop maker. Perfect for any occasion, including birthday parties and christenings or to give out as presents this Christmas.